Small scale removals can be as laborious, challenging and time consuming as large scope relocations. Fortunately for you, you won’t have to deal with the move or hauling project on your own because we will be by your side throughout the entire job. We are a professional man with van company and we are ready to assist you to the best of our abilities. We have tailored our services to match the highest standards of the removal industry and this is why we have managed to pass the test of company and become top choice for single item removals in London. Monster Man And Van London has the manpower, knowledge and equipment to easily haul any item to, from or across London. 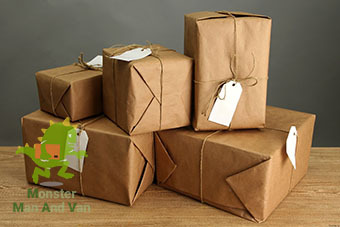 We also maintain nationwide coverage which means that we can deliver the goods to any city, village or area in England. All the single item removals in London for which we are hired are conducted with the aid of our fleet of new and clean Lorries and Lutons. Our vehicles are fitted with safety straps and belts which keep the moved objects in place and prevent them from bumping into one another or falling during transit. We also have full CMR insurance just in case an unwanted event occurs. However please keep in mind that to date we have never used our insurance policy as our accident ratio is 0%. We have attained this remarkable achievement by working diligently and also double checking everything. Our vans are safe and our movers skilled enough to ensure that any London small removal job we handle will be completed on time with the item(s) delivered without a single scratch . Please be aware that by choosing us you are choosing quality above all because we are true perfectionists and we are ready to walk the extra mile in order to complete your removal within the predetermined parameters and time frame. Our company is based in London. The city is home to numerous world famous landmarks such as Buckingham Palace, the official residence of the British Royal Family. It became the official Royal Palace in 1837 by the order of Queen Victoria. It lies in close proximity to the Spencer House which is another well-known tourist attraction. The mansion was commissioned by John, 1st Earl Spencer and dates back to the mid-18th century. The house was designed by renowned English architect John Vardy who was the apprentice of William Kent. The edifice is still owned by the Earl of Spencer who since the end of World War II has leased it on various occasions. It is currently let to Jacob Rothschild, 4th Baron Rothschild for a period of 96 years.